The Orthotic Group (Practitioner) – Why Partner With Us? 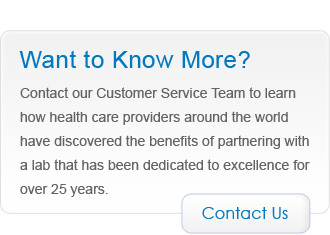 30 years of commitment to you and your patients. 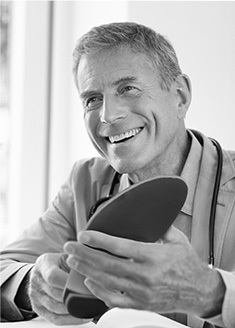 The Orthotic Group (TOG) first opened its doors in February of 1985 and has spent over three decades manufacturing custom orthotics that have contributed to a pain-free, healthy lifestyle for millions of patients. Through the years, our steadfast commitment to our valued customers has remained unchanged as we strive to continuously improve the products and services that support your clinic’s growth and success. Our TOG family has also expanded to form OHI (Orthotic Holdings Inc.), alongside respected brands such as Langer Biomechanics, Arizona AFO and Apex Footwear. Our family of dedicated employees and our various product lines have made us an unparalleled contributor to global lower extremity health. We invite you to join the TOG family. At the heart of all the products and programs that TOG offers, lies a clear focus and dedication to providing exceptional custom orthotics. From the earliest days at TOG, the inclusion of a Podiatrist as our Chief Medical Director and a PhD in Biomechanics as the Director of Research and Education demonstrates our commitment to biomechanics, research and delivering a superior quality, custom orthotic. From humble beginnings with a small array of devices, TOG has expanded its line to include more than 15 custom orthotic styles with dozens of additions and modifications to meet your patients’ needs. As part of our commitment to quality and progress, TOG is very excited to offer you the latest innovation in custom orthotic therapy, the DynaFlange™. 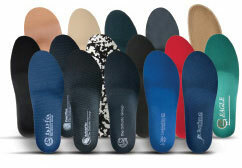 The revolutionary design of the DynaFlange™ is the most important orthotic advancement in decades. As a TOG customer, you are entitled to one annual, complimentary pair of custom orthotics and we suggest trying the DynaFlangeTM for yourself! 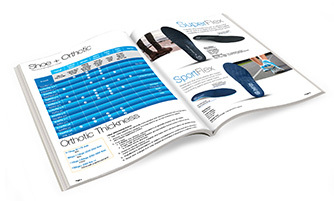 We encourage you to download or request a copy of the TOG Orthotics Plus catalogue, which walks you through four simple steps to selecting the appropriate orthotic for your patient’s complaint, footwear, age and lifestyle. For those who would like to leave the biomechanical analysis to our clinical team, we offer a complimentary Lab Discretion feature which allows your order to be assessed and modified by our team of experts. Simple, efficient ordering, with guaranteed results. Yes, guaranteed results. TOG stands behind our products and offers a lifetime warranty on the shell of every custom orthotic as well a 90 day patient satisfaction guarantee. Many practitioners utilize foam, plaster or slipper sock casting, which has been used for over 50 years as a tried and true method of capturing the contours of the foot. While TOG continues to work with and support these casting methods, technological advances have made pressure plate gait analysis available for practitioners who wish to explore high-tech assessment. More than 10 years ago, TOG pioneered the GaitScan™ digital pressure plate gait analysis and we continue to provide the most advanced, dynamic assessment and casting tool to our partners. The use of this pressure and timing data allows practitioners to detect abnormal foot mechanics that are not visible to the naked eye and electronically send a dynamic cast to the lab. The result is a superior custom orthotic and outstanding patient outcomes. In addition to the original GaitScan™ plate and software, TOG has released a static scanner called the Architech™, an excellent introduction to digital casting for clinics that intend to graduate to the dynamic, GaitScan ™ option. 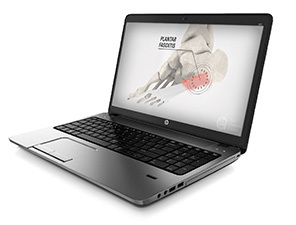 Both scanning systems utilize the TOG Client Software (TCS), featuring picture-based ordering screens, live footwear inventory and informative 3D animated patient education videos depicting common lower limb conditions that are helped by the use of custom orthotics. We understand that there are instances when a patient is experiencing acute pain and requires an immediate solution, or they do not have the insurance coverage or means to purchase a custom orthotic. Perhaps they forget to transfer their custom orthotic from shoe to shoe, and require an additional pair. 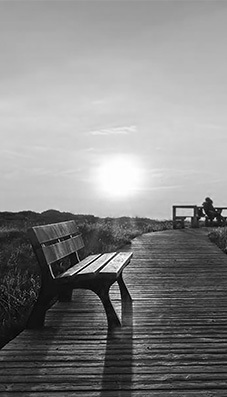 These scenarios, along with feedback from our valued partners, prompted TOG to seek out two lines of prefabricated orthotics intended to expand the clinical and financial options for your patients. The ArchRiteTM is a semi-rigid device, while the Bio-Orthotic is a softer, accommodative EVA shell. Both prefabricated options are available in several lengths and widths to meet your patients’ various needs. The best part is that they are semi-customizable with self-adhesive pads, setting them apart from the inserts that your patients would otherwise purchase from a retail shop. In order for your patients to maximize the benefits of their custom orthotic, they should pair them with comfortable, high-quality footwear. GaitScan™ TCS and TOG.com offer a wide range of over 700 styles of shoes, boots and sandals that can be ordered online. 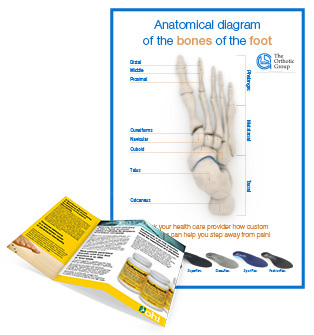 In addition to our extensive online offering, TOG has released a catalogue called Footwear Plus to accommodate those patients who are more comfortable selecting from a print version. Footwear Plus highlights the shoes, boots and sandals from legacy brands that you have come to know and trust. While it does not display the expansive list of brands and styles available on TOG.com, Footwear Plus is a convenient way for your patients to select a shoe on the spot. With their custom orthotic and footwear selection in place, your patients are well on their way to lower extremity health. There is one additional factor in lower limb health, excellent circulation. You have likely heard many patients describe how their feet ache and swell at the end of the day, and have experienced the frustration of being unable to provide them with an effective solution. Medical compression hosiery is no longer solely prescribed to the elderly. With fashion-forward colors and contemporary styles, your patients can confidently wear their compression hosiery, knowing they look as good as they feel. TOG proudly offers brands such as Therafirm and Orthosleeve, as well as our new private label line, to ensure options and styles for patients from all walks of life. 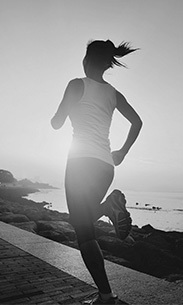 As the global population ages, they are taking their health seriously and trying to stay active every step of the way. This population of your patients look to you for product solutions and assistance in maintaining a healthy, pain-free lifestyle and TOG has the answer. 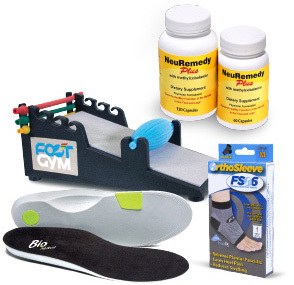 The Heel Pain Solution and Diabetes Solution are two examples of affordable, off-the-shelf products that complement custom orthotics and restore your patients’ quality of life or, in some cases, even help to save a limb. TOG Medical Education Series: Supporting the growth and development of your practice. Seminars - Our updated seminar series explores the science and business of prescribing custom orthotics, how to identify clinical predictors of success, a review of case studies and interpretation of GaitScan™ reports. Our seminars offer practical, hands-on sessions to hone your exam, casting, interpretation and prescribing skills. Webinars - As a global leader in lower limb solutions, we offer digital educational opportunities through online webinars that you can access from the comfort of your home. Our webinar series includes GaitScan™ Interpretation, clinical case studies, marketing initiatives, insurance claim support and practice management topics. You can even earn your Medical Compression Custom Hosiery Fitter Certificate by attending our online course. We understand that you have a busy schedule, and in order to ensure that you can benefit from all of the education opportunities, all TOG webinars are archived on the TOG.com Practitioner Site, and can be accessed with your unique username and password. Once you have all of the tools in place to assess, cast and dispense custom orthotics, as well as the complementary products to encourage a healthy lifestyle, you want to tell the world – but how? As your partner, TOG offers internal and external marketing solutions to grow your practice and promote health in your community. 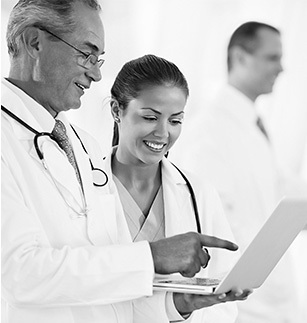 Internal marketing tools include posters, brochures and patient education videos. In addition, we offer three outreach programs: Corporate, Diabetes and Running Group, to increase awareness within your local community. You can also learn about creating an overall marketing plan or how to set up an outreach event by attending one of our webinars (live or archived) and utilizing the expertise of the Marketing team at the TOG office (marketing@tog.com). We are happy to collaborate with you and your staff to determine the best marketing plan for your practice. Are you new to custom orthotics or planning to introduce medical compression hosiery into your practice? Perhaps you are a new graduate or branching out to open a new clinic, TOG has a Starter Kit for you! Ask our Client Care team about a wide range of kits to jump start your practice or offer a new line of products to your patients. Navigating the ever-changing world of insurance claims can be intimidating. Boost your confidence and increase your knowledge with the expertise and support of sample insurance documents and webinars as well as the expertise of the TOG Client Care team. With a wide network and long history of cooperation with the insurance industry, the TOG team advises you of insurance updates and provides the necessary tools for your submissions. We also guide you through claim rejections and document compliance. 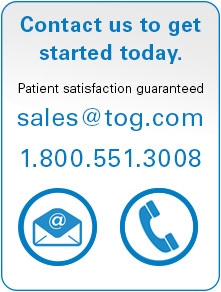 From beginning to end, TOG is your resource for insurance support and answers. Note: To the extent TOG provides clients with code description, these are provided for informational purposes only. Use of these codes should not be viewed as a recommended practice for all situations. Acceptance and reimbursement according to these codes varies, and it’s not guaranteed by TOG. For more complete descriptions and reimbursement rates, please consult your state manual. OHI is the global leader in technologies and treatment options for healthcare providers who treat conditions associated with the lower extremities. Through a growing family of brands, OHI continues to innovate and create on a global scale in an effort to provide a complete lower extremity solution. Recognized as a pioneer in the field of manufacturing of custom foot orthoses and ankle foot orthoses (AFOs), OHI currently distributes its products and technologies throughout North America, Europe and Australia.